Cơm Gà (chicken rice) is a local staple in Hoi An. 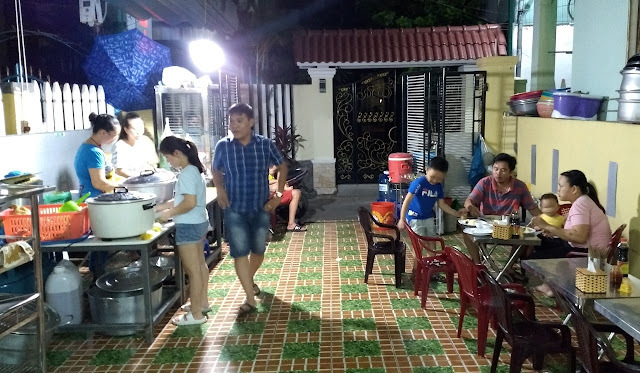 You see small shops and stalls selling it all over. We had dinner one night at one of these establishments - Cơm Gà An Hiền. 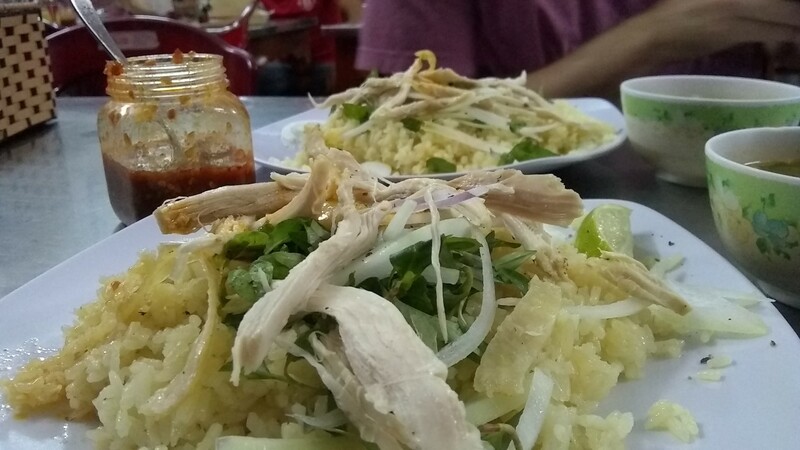 When the plate first hit the table, Cơm Gà doesn't look like much - a pile of rice with some herbs, onion slices and shredded chicken on top. The look belies the flavor, however. 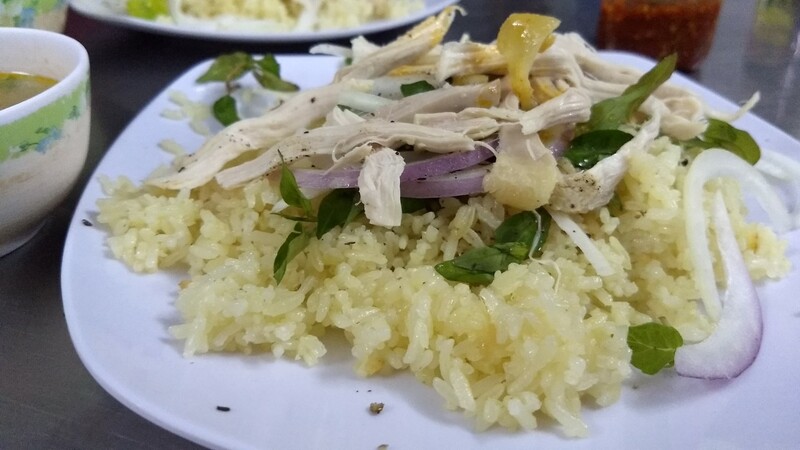 The rice tastes intensely of chicken. It can be a bit dry, but they provide a bowl of light chicken stock (with some tasty giblets floating in it) that you can use to moisten and add flavor. Add a generous amount of chili sauce and some lime, and you have a pretty nice plate of food on your hands. 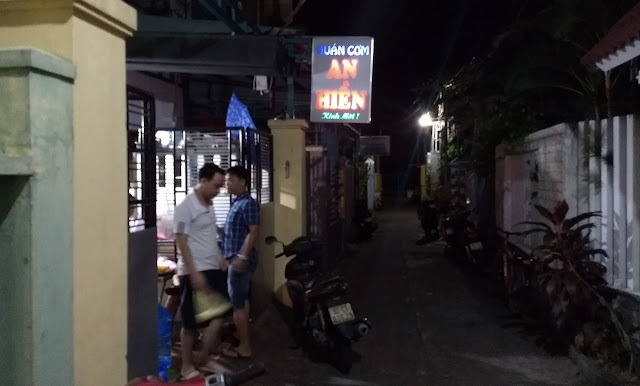 Like many of the places we enjoyed in Vietnam, this shop is hidden down a little alley off of a larger street.